After one year of full time work, I present to you my next game made for the Playstation 1, the Dreamcast, + a release on Steam ! 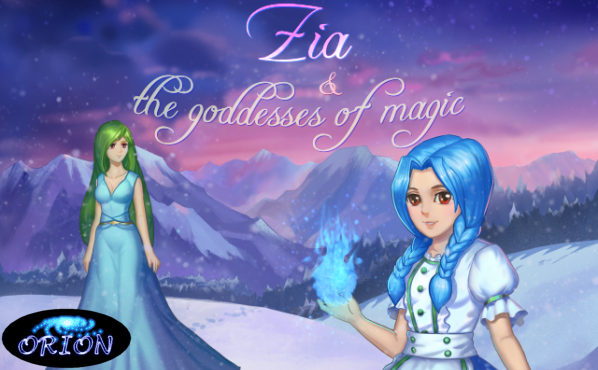 It's an RPG called "Zia and the Goddesses of Magic"
Out of the unknown came a powerful demon who brought trouble upon the world, and all the goddesses got captured and locked away. Evil creatures started to take hold of the nearby villages and threatened the inhabitants. One day, an old wise man came from the mountain and asked Zia's parents for shelter for one night. At the dinner table, he told Zia about the existence of several spell books spread around the world. Zia got very interested and begged her parents to let her go and look for these books to learn more about magic spells. 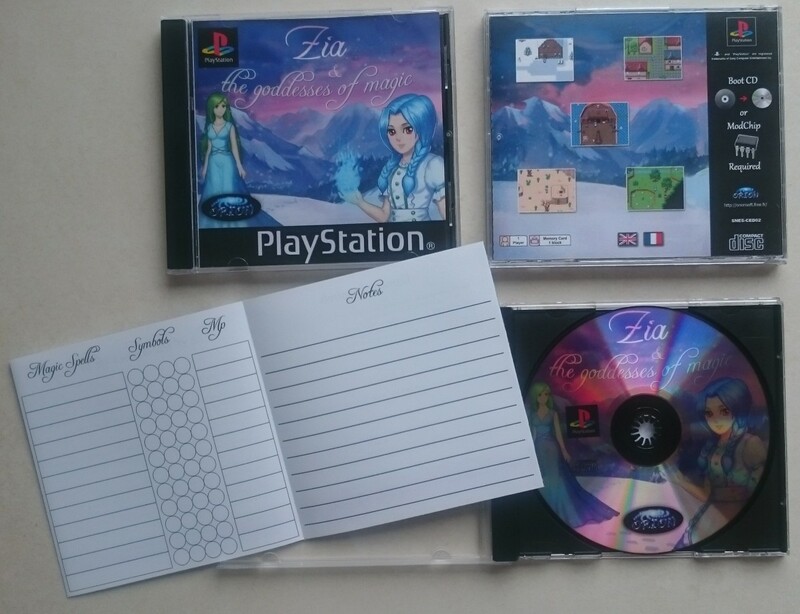 Order the game for Playstation 1 or Pre-Order the game for Dreamcast on my website by clicking here ! You can also Help my game get Greenlight on Steam ! The game is available in English, French & Spanish ! And before you ask, No, the game doesn't use RPG Maker, it's my own engine made from scratch. The battle system is is unique and different from all the other RPGs I know. It's based on magic symbol formula that you must remember, each spell having a specific formula that you should reproduce using Triangle, Square, Cross and Circle buttons during the battle. Each enemy has a weak point where a specific magic can damage them more, so you must guess and try the best magic spell to win the battle faster.